Researchers at the Duke University School of Medicine have developed a system to detect a certain chemical found commonly in pesticides and determined that it may disrupt neurological development of fetuses. The Environmental Working Group (EWG), a group of researchers, engineers, and policy experts, who expose threats to human health and the environment, wrote a press release about Duke’s study. With tens of thousands of chemicals in widespread use with minimal safety testing, the Duke study shines a bright light on the potential hazards of household pesticides. 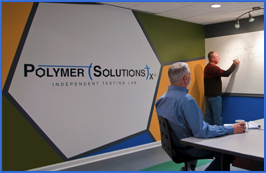 This testing model may teach us much about the industrial chemicals that are in our homes. This study underscores why pregnant women should steer clear of handling any household insecticide. These exposures could very well put their unborn babies in contact with these chemicals during the most fragile period of development. 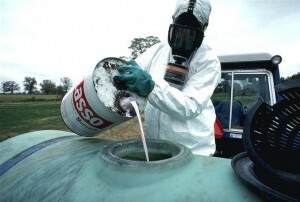 PBO itself is not a pesticide, but it is used to increase pesticides’ potency. Pesticide manufacturers started using PBO more often when the U.S. Environmental Protection Agency phased out chlorpyrifos and other organophosphate pesticides more than a decade ago after determining that they posed a risk to children’s health. Now, PBO’s use is widespread. Many current products contain five to 10 times more PBO by volume than the pesticide itself. PBO is listed among the top 10 chemicals detected in indoor dust, which is how children are exposed to it. Risk studies of the chemical have been conducted only in the last few years. In 2011, researchers at Columbia University’s Mailman School of Public Health found that infants whose mothers had been exposed to low levels of PBO in air during pregnancy had impaired cognitive and motor development by the age three. We were concerned when our study confirmed that PBO disrupted neurological development pathways — especially given the widespread use of this chemical in American homes. Our study demonstrates the need for additional research and evaluation of the safety profile of PBO as a pesticide synergist and the value of high — throughput screening in assessing the potential toxicity of chemicals. Image by U.S. Department of Agriculture, used under Fair Use: Reporting.